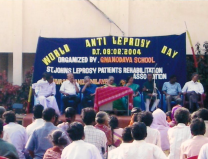 Gnanodaya School is located in Venkatapuram Village, about 45km from Chennai. 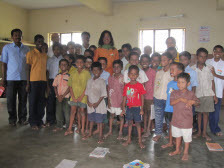 The school has strength of 122 children, around 51 children from different leprosy colonies of Tamil Nadu stay in hostel. 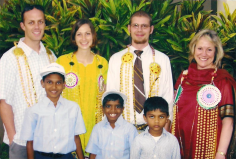 The school also accommodates 71 children from nearby villages to promote integration from early ages. 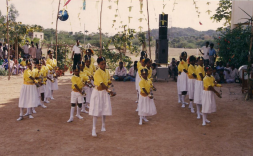 The school educates the children up to the 10th standard and we are proud to say that in 2009 10th standard examination the children achieved hundred percent results. The school currently has a modest library facility, a playground and a computer lab with 5 computers donated by Sasakawa Foundation, Rising Star Outreach and TVS Group. 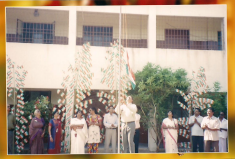 There are events celebrated in the school such as Independence day and Annual day. You are always welcome to contact our charity organization with any questions you may have about sponsoring a child or any of our projects. Please contact us via the details below.